Brett Scott is an Australian kinesiologist with over 17 years of clinical experience. He brought kinesiology to Hong Kong in 2005 when it was virtually unknown, and through repeated success and word-of-mouth was running a fully-booked clinic within 2 years. He has since helped thousands of clients overcome their physical and psychological issues in order to achieve a better quality of life. Brett also runs the Kinesiology Asia Institute, the first and only institute in Asia to offer Neuro-energetic Kinesiology certificate and diploma courses, professionally accredited by the Australian Kinesiology Association (AKA). Sean graduated as a Bachelor of Creative Arts with a Minor in Psychology from the University of Wollongong, Australia, before going on to complete a Graduate Diploma in Law. Since his late teens, he has passionately pursued ways to develop human potential. This drive has led him through a rich variety of models for behavioral change, including Neuro Linguistic Programming, Experiential Learning, Applied Drama, Coaching and Personal Growth. More recently, Sean has studied Kinergetics and Neuro-energetic Kinesiology under Brett Scott. Working as a Kinesiologist, he brings his vast experience in growth and development, supporting people to move forward and make positive change in their lives. 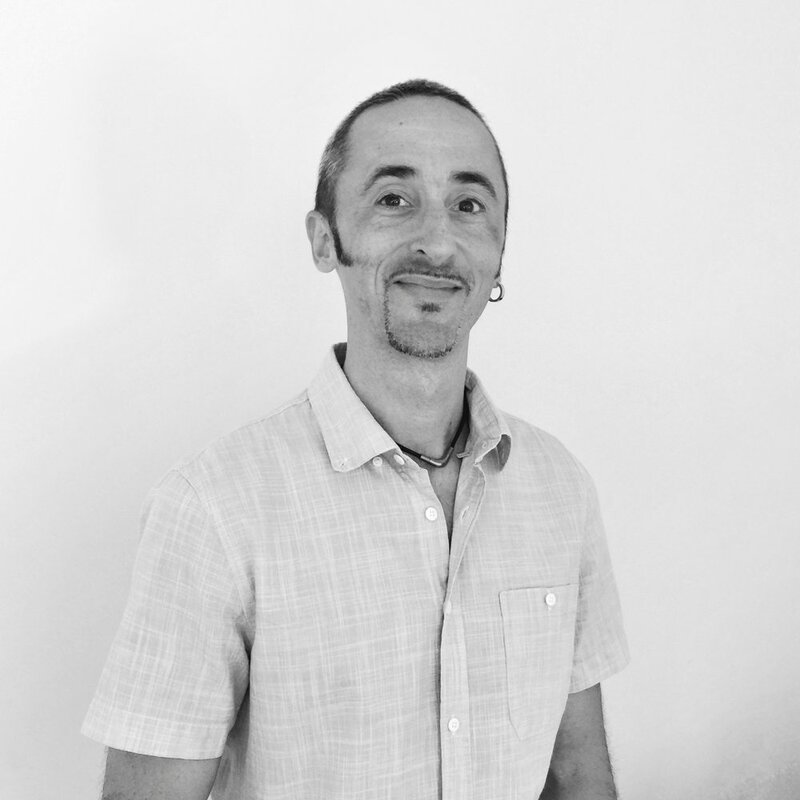 Oliver is a neuro-energetic kinesiology practitioner with a Degree in physics and a Diploma in Clinical Nutrition. He has been practicing energy work for over 20 years, through martial arts, Qi Gong and Reiki. As a father of a child with special needs, Oliver realised conventional medicine offered limited help and began exploring alternative approaches. It was on this journey that he discovered Reiki, learning from Master Wyman Dana Tsui. Impressed by the positive results, he pursued further education and studied Neuro-energetic Kinesiology with Brett Scott, Hugo Tobar and Charles Krebs. Oliver's deep interest in nutrition led him to discover the ketogenic diet which he has been following the past 4 years. He has been educating and coaching clients with this approach, which led to significant improvements on their wellbeing. In addition to his work as a kinesiologist, Oliver is a professional musician. Sessions with Oliver can be conducted in both English and French. •A noticeable increase in self-confidence: The prescribed exercises are easy, resulting in toned muscles. She can now move independently over short distances. •Her gait is much lighter and less painful. Many thanks Oliver for all the help. First, I appreciate that you let me take my time to think about the ketogenic diet before I was ready to join the group. All the readings and information I got over the months helped me taking my decision. Then all information you provided on how to proceed were quiet clear and helpful and having the group on Facebook is a great addition. Finally, I would have never imagined being able to eat avocados ever again but thanks to you I am enjoying them regularly. I went from anaphylactic shocks to eating a whole avocado by myself whenever I want! So once again thanks a million. I changed my diet to gain energy and lose weight to get ready for marathon training. 2 months to go and I feel great. Graduated from Queen's University in Ontario, Canada, Queenie received her Bachelor of Science (Honours) in Academic Kinesiology. Fascinated by human anatomy and the mind-body connection, she studied the fundamentals of visceral manipulation and craniosacral therapy, and then continued her education of Neuro-Energetic Kinesiology at the Kinesiology Asia Institute. Queenie specialises in limited range of movement and chronic pain. As a sports enthusiast, Queenie is also passionate about working with clients to overcome musculoskeletal injuries and enhance sports performance. Having played sports throughout her life, she understands the importance of physical activity but also acknowledges the emotional and physical stresses professional and recreational athletes encounter. Through muscle monitoring, kinesiologists can identify emotional and mental blockages, and muscle imbalances that may be inhibiting injury recovery and optimal performance. Fluent in English, Cantonese and Mandarin, Queenie aims to help clients return to a balanced state of self-healing and well-being. In her spare time, Queenie plays competitively in the Asian International Community Basketball League and for the Tornadoes netball team at the Hong Kong Football Club. Having grown up in Hong Kong and spent time living abroad in Canada, Catherine has been an active volunteer at the local cancer society, hospital and school for disabled children since she was a teenager. The opportunity to contribute to the well-being of others is something that's always energized her. In addition to being a qualified kinesiologist, she is also trained in bioresonance therapy, the Yuen Method and reiki, all of which she incorporates into her practice. Catherine has achieved incredible results with clients in relieving many conditions including sinusitis, chronic muscle aches and pains, anxiety, sleep disorders, work stress, phobias, and learning difficulties to name a few. Catherine trusts that when stress is properly addressed and managed, it can help one overcome challenging situations and excel. She is continually amazed by the results that kinesiology yields and the in-depth understanding of your body's innate wisdom through the biofeedback of muscle monitoring. She brings a gentle and empathic approach to her practice. Sessions with Catherine are available in Cantonese, Mandarin or English. Since 2009 Pauline has made it her personal mission to support people from all walks of life help themselves. She started her journey by setting up her own consultancy company providing talent development training and personal growth coaching. It became clear to Pauline that we all have the ability to grow and develop provided we willingly address our blockages. Personal growth is a way of living. Through her personal quest for a deeper sense of wellbeing, Pauline came in contact with kinesiology. It helped her heal herself. As a neuroenergetic kinesiologist, Pauline’s renewed purpose is to support women through this natural therapy. By aligning our conscious and subconscious mind, and restoring balance in our body (mentally, physically and energetically), we can stay strong and healthy in the face of adversity, feel empowered to make positive changes in our lives, and age gracefully & beautifully. Pauline is a registered kinesiologist with the Australian Kinesiology Association (AKA). She travels regularly to Kota Kinabalu, Malaysia as a visiting practitioner to provide kinesiology sessions at a local medical centre. She is also a KORE therapy consultant with the UK Federation of Holistic Therapists. And she holds a master's degree in business administration from the University of Adelaide. Her sessions can be conducted in Cantonese or English. Wonderful! I have been seeing Pauline since September 2016. She has helped me tremendously with my health and emotional issues! I have severe heavy metal toxicity causing lots of physical health problems, and I mainly used to focus on my physical well being. Kinesiology - truly beautiful and super gentle way of taking care of your health and generally of your whole self on different levels!!! One of my friend kinesiologist, Pauline, helped me to work on very sensitive and important subject of my life. With her knowledges and kindness it made a big difference for me to keep going and feel that I have support on my way. Every time she was there for me, I always felt her true care and commitment to make a difference not only during session, but outside of work too. It is an amazing feeling!!! Make my story shorter - I highly recommend to try! Love yourself and Kinesiology is a perfect way to express that!